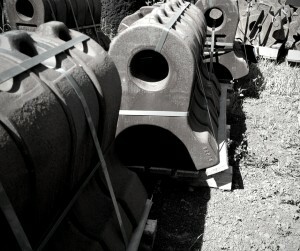 A customer has a large inventory of excess, unused wear parts for a Hammermill 96 inch by 104 inch shredder. If you are running or rebuilding one of these workhorse machines, this is a great way to save some money. Please contact us if you have interest in learning more. 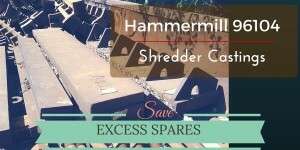 Hammermill machines are one of the storied brands in the shredding world, both productive and reliable. With a bolt together shredding box, they are easier to rebuild. As time moves on, support is not always easy to obtain from the current brand owner. 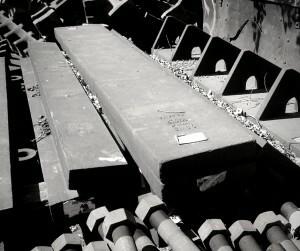 These manganese steel parts include hammers, grates, cutter bars, and pin protectors. Tie rods and end disk caps are also part of the assortment.